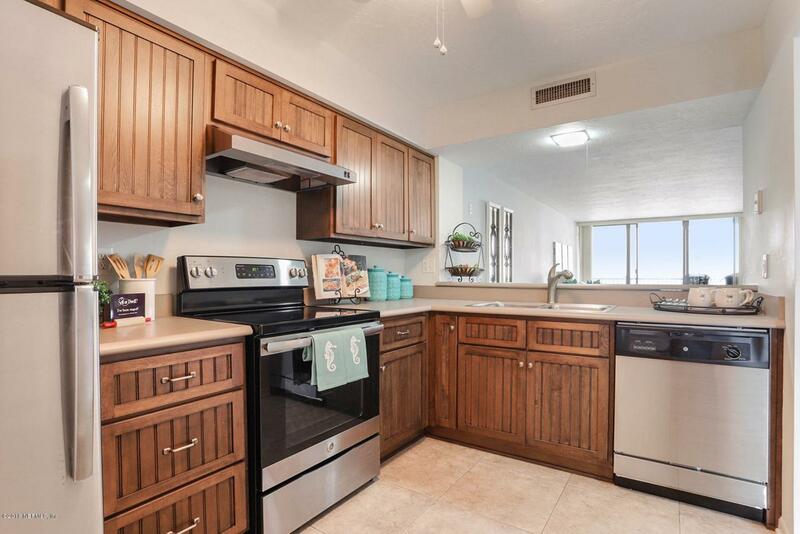 Beautiful Ocean front views from this completely updated 2 Bath / 2 Bath condo that features stainless steel appliances, solid wood shaker style cabinets. 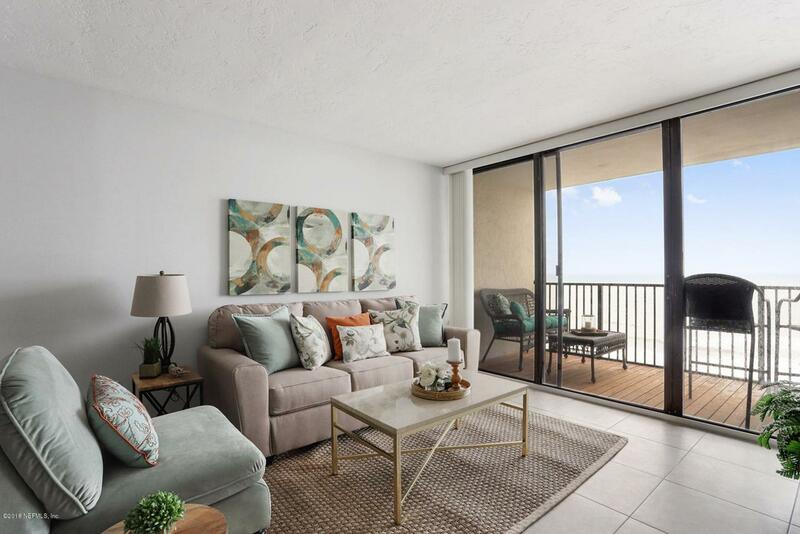 Balcony has custom removable outdoor teak flooring and of course some of the most beautiful oceanfront views in Jacksonville Beach! Open floor plan allows you to capture the amazing ocean views from living area and master bedroom w/ private access to the balcony. 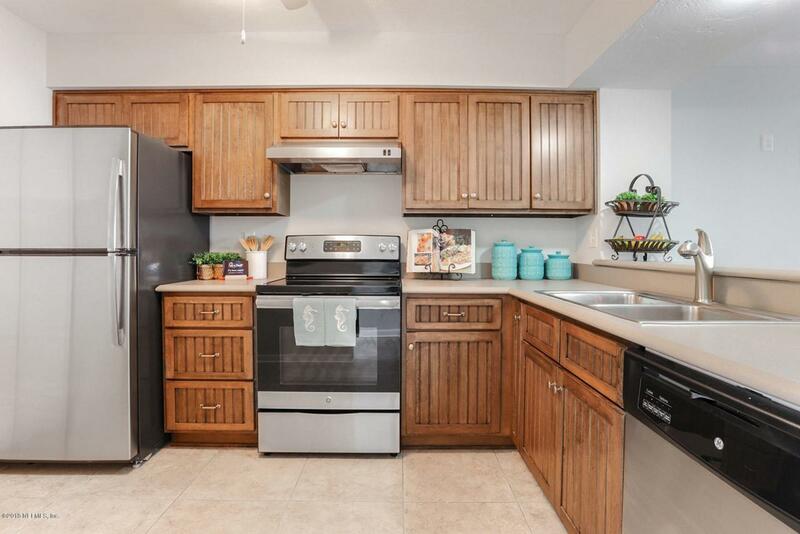 The Condo fees include ext. 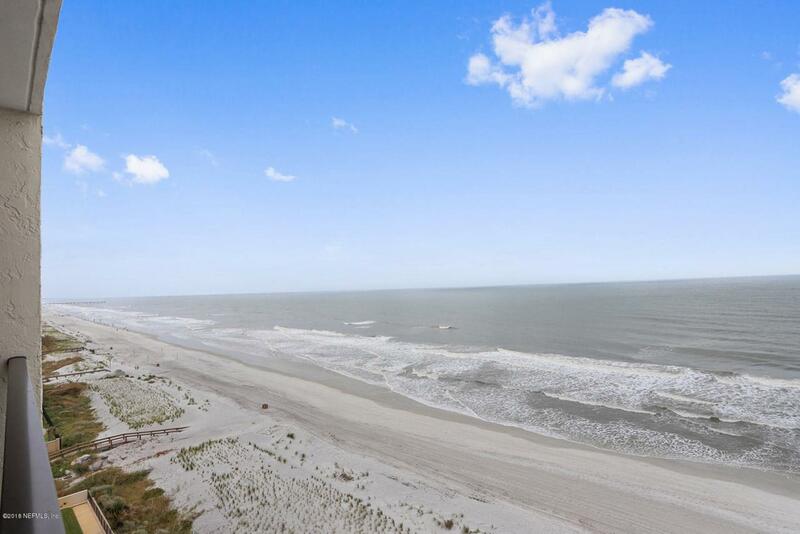 maint, ext home owners insurance, ocean front updated clubhouse, fitness center, pool with private beach access, garbage, on site management and 2 parking spaces.